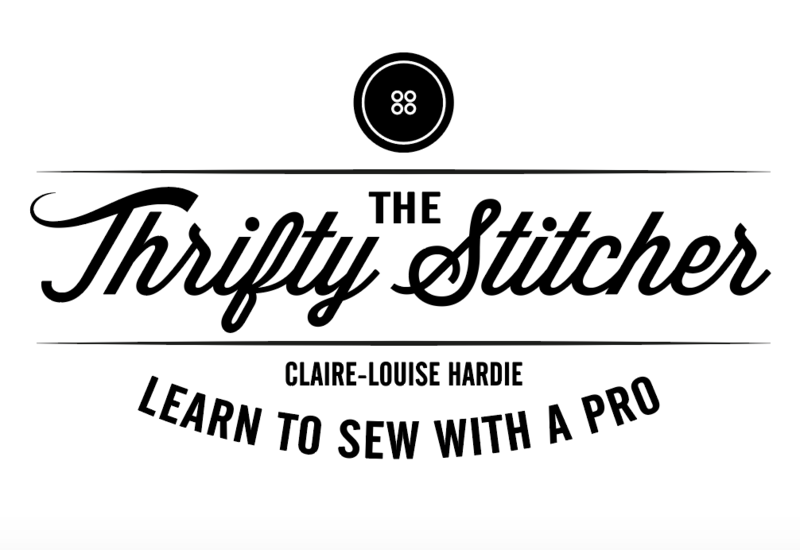 Do you hate all the measuring and pressing that’s usually required when you add a waistband? So here’s how I teach my skirt students to add a waistband, I’ve used a little Costumier trick and sewn it initially to the wrong side of the skirt, but it works just as well the more conventional way. Step 1- Cutting a waistband to fit you. Prym 4 cm waistband shaper interfacing has pre-cut out sections along the stitch and folding lines. This allows the waistband to fold correctly without having to be pressed, plus it reduces bulk. Prym seem to be the only manufacturer doing a 4 cm finished width, and this is the preferred depth of my students. Cut a length that’s at least 5 inches bigger than your waist measurement. Use this to cut out the fabric for the waistband, I lay it glue side down onto my fabric alongside the grain, with a little extra fabric at the sides. Iron onto the wrong side of your fabric following the instructions. I always work from the middle outwards on either half, without steam. Step 2- Creating the correct length. Fold the waistband in half along the central crease. Wrap around your waist pinning into a position that feels comfortable. Leave a good bit of excess on both ends. Check it’s comfortable when sat too! Transfer the pin mark to the wrong side of the waistband, this forms the centre points that will line up with the edge of the zip. Fold the seam allowance of the waistline onto the waistband, then fold the waistband right sides together in half along the central fold line. On the right half of this skirt, I pinned along the previously marked centerline. On the Left half of this skirt I made a new mark, 1.5 inches away from the centerline, to form the extension or underlap. This skirt has a back opening, so swap this if making a skirt that opens on the left side. Machine both of these short edges, and then trim the excess seam allowance. Carefully turn the short ends through to the wrong side, ensuring the corners are nice and square. Fold the waistband along it’s length, turning over onto the right side of the skirt. Fold under the final long edge of the band and pin into place over the seam allowance, ensuring it covers the stitching line. Pin in place and then top stitch close to the edge. I chose to only topstitch the lower edge of the waistband, but you could top-stitch all the way around too. By top-stitching the right side in this way, you can ensure the stitching is perfect on the outside of your skirt. It’s also less fiddly than trying to stitch in the ditch too. Ensuring that the extension is underneath, hand sew a hook and bar to the waistband. The hook goes on top, and is set a little way back from the edge so it doesn’t poke out: the bar is sewn on to the extension. You can also add an additional bar for after lunch! A popper sewn on as well can help secure the bar. I use Flat trouser or skirt hooks and bars. 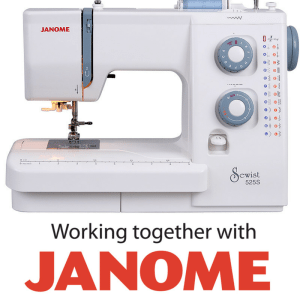 Don’t fancy hand sewing? Add a button and buttonhole here instead of a hook and bar.